The Atlanta City Council continues its war on the public. Most recently the Council voted to limit public comment delegations to a maximum of ten minutes per delegation – no matter how complex the issue. The former limit was sixteen minutes. The Council also voted to restrict former elected officials–who previously had no time limit–to six minutes per person. In these remarks before the Committee on Council, Cardinale expressed his profound disgust and disappointment at the Council’s act of trampling on democracy. Only Councilman Michael Julian Bond (Post 1-at-large) opposed the measure. Cardinale opposes limits on public comment delegations. The people of Atlanta require more friends on the Atlanta City Council, like Cardinale, who will always respect the public and value public input. Earlier this year, prior to the campaign, Matthew Charles Cardinale (a/k/a “CardinaleB”) covered rap star Cardi B’s contemporary rap composition, “Bartier Cardi” for the Atlanta City Council. In this song, Cardinale expresses his feelings about the Westside, about his record of advocacy, and about civic engagement in Atlanta. Standing out from the crowd of candidates, Matthew Charles Cardinale has released a 180 Day Plan: a progressive agenda consisting of fourteen drafted ordinances that, if elected, he will introduce in his first 180 days. These include ordinances for affordable housing, the environment, criminal justice reform, public participation in local democracy, and more. These ordinances are intended to demonstrate Cardinale’s policy imagination; his focus on legislative solutions; his ability to address problems large and small; and his familiarity with the City of Atlanta Charter and Code of Ordinances. It’s somewhat easy to have ideas about general concepts! Being a legislator, though, is about identifying ways to bring about positive social change through the enactment, revision, and repeal of specific legislation. “You think you have an idea until you try to write it down!” Cardinale says. 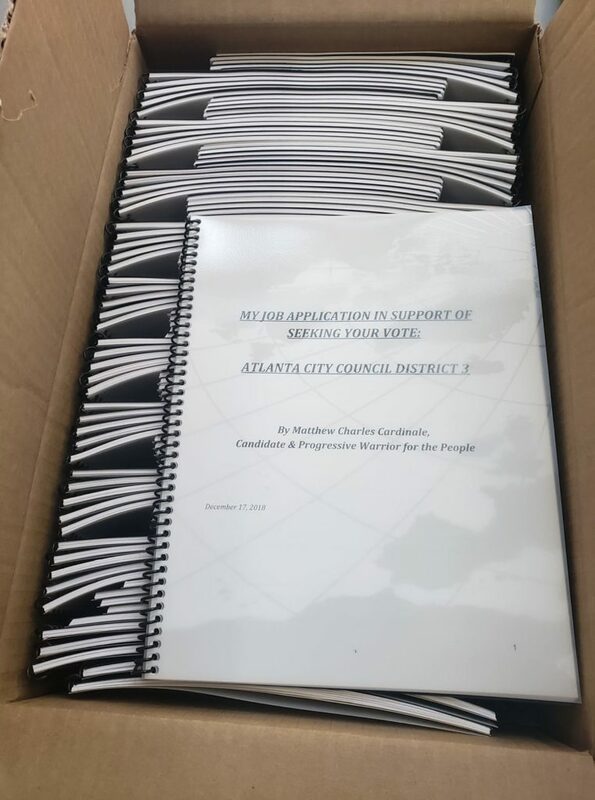 Cardinale has printed many booklets entitled, “My Job Application in Support of Seeking Your Vote,” and is distributing the booklets while going door to door to meet the voters of District 3. Currently, on the books of Chapter 106, is a provision that purports to make it a crime to simply be physically present in a known drug area within the City’s Drug-Free Commercial Zones. Such a provision is unconstitutional and opens up the City to false imprisonment claims. In 2007, the City, under the leadership of Councilman Ivory Lee Young, repealed “DC-6” or the former Disorderly Conduct 6, a similar provision. Yet another ordinance reminiscent of Atlanta’s Jim Crow past, the ban on moving household goods at night, has got to go. Atlanta repealed its unconstitutional panhandling law in 2012, and then turned around and reenacted the unconstitutional portion. While Atlanta has properly established time, place, and manner restrictions on panhandling (such as within ten feet of an ATM), the First Amendment does not allow cities to create entire geographic areas where panhandling is not allowed. The City of Atlanta needs to start caring about the Federal and State Constitutions! Atlanta lacks enough shelter beds for our homeless youth population. Currently, our laws leave open the possibility of arrest of a homeless child or teenager simply for being homeless and unsheltered during the nighttime hours. This proposal will create exemptions for homeless and emancipated minors. Currently, the Code of Ordinances requires that the public comment sign-in sheet be closed at the start of the Full Council Meeting at 1 p.m. However, because of Proclamations, public comment often does not start until 2 p.m., creating an unnecessary barrier and inconvenience to the public. This ordinance would allow sign-up for public comment until the public comment portion of the meeting starts. Under this ordinance, residential lessors (“landlords”) would have to provide the City with the rental rates for the apartments they are renting, once per year, as part of the business license renewal process. This will help the City make sure it is collecting the correct amount of taxes, and help implement the City’s annual Housing Inventory (drafted by Matthew and adopted in 2017). It is important to know how many units of affordable housing exist in Atlanta, in order for the City to set affordable housing goals and so that we can track our progress. Of the seven Council Committees, not one has the priority of protecting the environment. It is time–due to our environmental crisis–that we put the environment at the forefront of our policy decisions. This proposal would create an eighth Council Committee with jurisdiction over all matters related to environmental protection. Our Code of Ordinances needs stronger protections for individuals–especially residential tenants–who make code enforcement complaints under the Housing Code of 1987. If a lessor retaliates against a tenant for complaining to any branch or division of the City of Atlanta, then the City should be able to assess a monetary penalty. Currently, the signature burden for citizen-led petitions for Initiatives/Referenda is too high. The current requirement is for fifteen percent of the eligible voters in the prior election. This proposal would reduce the requirement to fifteen percent of the actual voters in the prior election. Currently, Committee Chairs have the discretion to only allow one opportunity for public comment during each Committee Meeting. This proposal would require that Committee Chairs allow the public to comment on each legislative item on the agenda, at the time the item is heard. The City of Atlanta must do more to remove barriers to democratic participation on behalf of residents with disabilities. We can’t wait for our residents to come to us and ask for accessibility. This ordinance would require an American Sign Language interpreter at Council Meetings. Cities and states across the country are currently exploring the possibility of launching public banks. With a public bank, the City of Atlanta could harness the power of “fractional reserve lending,” which banks enjoy, to issue smart, non-speculative, low-interest loans to support investments in solar panel installations, affordable housing developments, new grocery stores and small businesses, and other public policy priorities, without having to always resort to higher-interest municipal bonds. This proposal would revise the existing Mandatory Inclusionary Zoning (affordable housing requirements) for the Beltline Overlay District to provide for deeper affordability. First, the proposal would allow developers to comply with the current requirements by providing fewer affordable units at a deeper level of affordability for each unit (0 to 30 percent of the Area Median Income). Second, the proposal would require, for larger multi-family developments, to include a mix of units at all levels of affordability (0 to 30, 30 to 60, 60 to 80 percent AMI) within each project’s affordable unit set-aside. 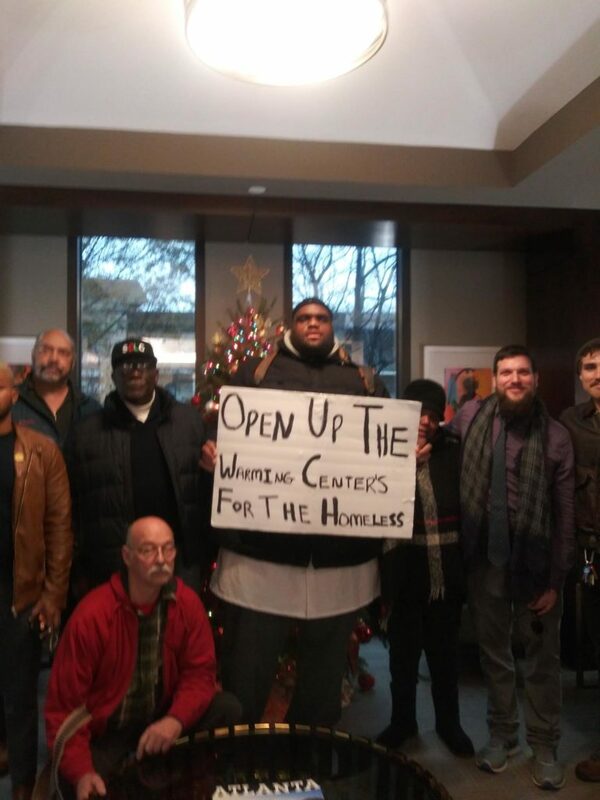 A week before Christmas, I joined homeless advocates in a press conference and action on Mayor Keisha Lance Bottoms’s Office at Atlanta City Hall. Since then, the City has announced new policies and practices, but homeless advocates tell me that it still is not enough; and that we, as a city, lack adequate capacity to meet the immediate needs of our homeless brothers and sisters. If I am elected to City Council, I will demand greater oversight of the 30 million dollar Homeless Opportunity Bond. On December 04, 2018, the Fulton County Daily Report published an article about Matthew Charles Cardinale’s candidacy for Atlanta City Council District 3. The Daily Report has covered Cardinale’s legal efforts over the years, including his successful Georgia Supreme Court case against the City of Atlanta. The full text of the article and file photograph are reprinted here for educational purposes. Six years after nonlawyer Matthew Cardinale argued and won a lawsuit against the Atlanta City Council at the Georgia Supreme Court over transparency violations, the online publisher and City Hall gadfly has decided that it’s time to join the body he’s spent so many hours critiquing—and which has itself passed several pieces of legislation Cardinale helped draft. Now he just has to get elected. Last week Cardinale launched his campaign for the council seat left vacant by the Nov. 16 death of District 3 Council Member Ivory Young Jr.
Cardinale is so far the first announced candidate for the special election, scheduled for March 19. 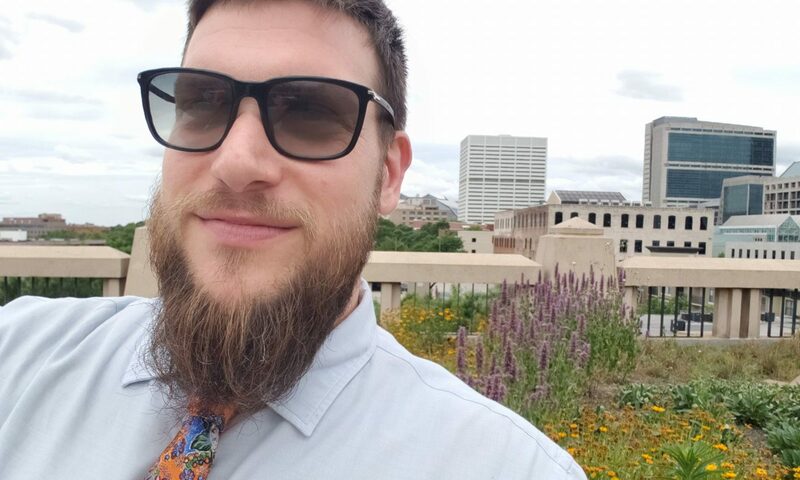 Cardinale, whose endeavors include running an affordable housing nonprofit, SmartALEC and who has crafted legislation adopted in Atlanta, Clarkston and other municipalities, finished his coursework for a law degree earlier this year. But he has not sat for the bar exam and isn’t particularly inclined to do so, preferring to focus on policy. Cardinale claims to have drafted 13 pieces of legislation that have passed the council over the years, including one approved Monday requiring council committee chairs to call for public comment before voting on legislation rather than at the meetings’ end. “I’ve written legislation on topics from affordable housing to government transparency to due process for small businesses, but affordable housing has always been by No. 1 priority,” Cardinale said. 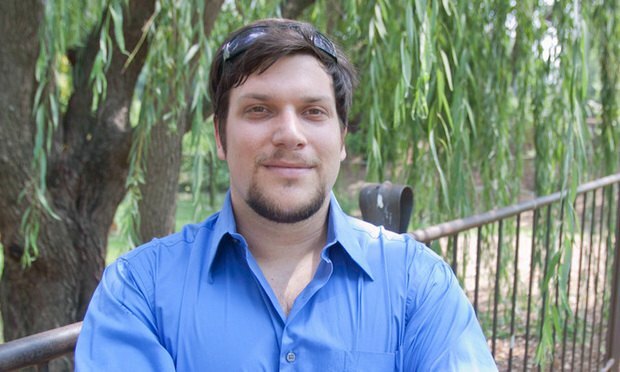 “I like writing good legislation and staying true to my progressive roots,” added Cardinale, who is the publisher of the Atlanta Progressive News website. Cardinale already was a familiar figure at council meetings when he sued it in 2010, claiming that it violated the state open meetings law by failing to record the names and votes of council members who voted on legislation during a council retreat. A Fulton County Superior Court judge dismissed the case, and the Court of Appeals upheld the dismissal. His efforts earned him a full legal scholarship to Gonzaga University School of Law In Spokane, Washington. More recently, Cardinale fought a short but document-heavy court battle with the rent-to-own housing company that sold him his house over claims that it failed to make promised repairs. Once again, Cardinale represented himself, squaring off against a team of Troutman Sanders lawyers. The case settled the day before they were to appear in court for a hearing on several motions. On December 02, 2018, the Saporta Report, an online news service, broke the news of the announced candidacy of Matthew Charles Cardinale for the March 19, 2019 Special Election for Atlanta City Council District 3.